Taking place next February, the six-month trial of 1,000 vehicles is being run by telematics firm Tantalum Corporation, which was recently awarded funding by Innovate UK and the Centre for Connected & Autonomous Vehicles to develop Air.Car, a solution to accurately estimate real-time NOx emissions and help fleet managers drive down these emissions, saving fuel and operational costs. TRACKER, which is part of Tantalum, will install telematics units to vehicles’ OBD and offer a short training course for fleet managers to maximise the benefits of the data they will receive. Fleet managers will receive access to cloud-based fleet management software, which will present them with real-time CO2 and NOx emissions as well as vehicle location and real-times and historic trip data, reporting including idling time and utilisation rates, fuel usage by vehicle, by individual trip including wasted fuel, vehicle health details with notification of fault codes and crash notifications. 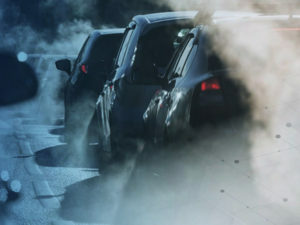 The trial will run within London and other UK cities where Clean Air Zones are to be established. Businesses interested in taking part can register online at https://www.tantalumcorporation.com/air-car/. Registrations are open until January 2018.